When we see what [Jason Allemann] does with LEGO, we wonder why more one-offs aren’t made this way. This time he’s made a Halloween mechanical marvel that will surely scare more kids than anything else they’ll encounter on their rounds — so much so that many may even decline the chocolate it dispenses. Who wouldn’t when to get it you have to reach over an animatronic skeleton hand that may grab you while a similarly mechanized spider may lunge onto your hand. The chocolate dispensing, the hand and the spider are all animated using four motors, a LEGO Mindstorms EV3 brick to control them, and a touch sensor. When a kid presses a pumpkin attached to the touch sensor, the next chocolate candy is lowered by gravity onto a conveyor belt and carried forward to the awaiting child. That much is automatic. At the discretion of [Jason] and his partner [Kristal], using an infrared remote control and sensor, they can activate the skeleton hand and the lunging spider at just the right moment. We’re just not sure who they’ll choose to spare. It is Halloween after all, and being scared is part of the fun, so maybe spare no one? Check out the video below and tell us if you’d prefer just the treat, or both the trick and treat. We do have to wonder if there’s any project that can’t benefit from LEGO products, even if only at the prototype stage or to help visualize an idea. As a small sample, [Jason]’s also made a remote-controlled monowheel and an actual working printer along with a Morse key telegraph machine to send it something to print. 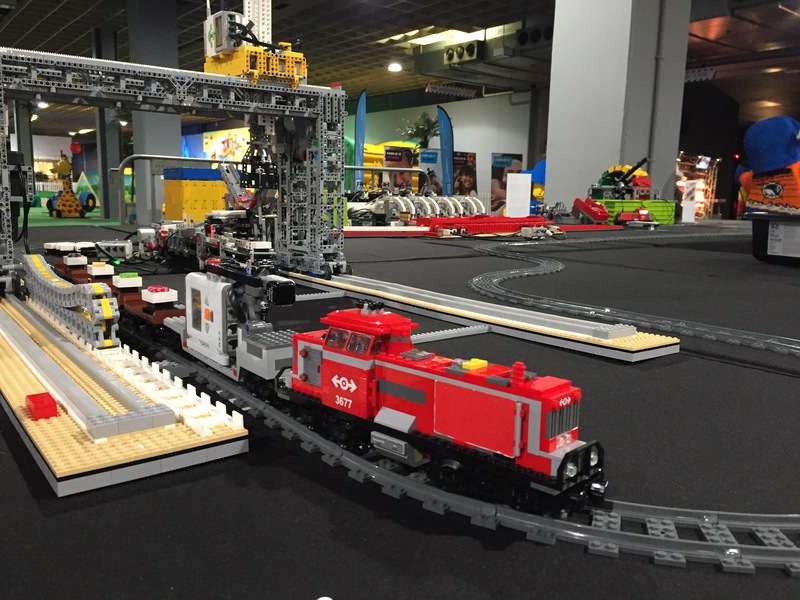 [Michael Brandl] got to visit the Milka chocolate factory in Bludenz, Austria and was inspired to build this simulation of the production process for the LEGO world 2017 event in Copenhagen. The process begins with the empty mold riding on a double row of tank treads. Subsequent modules seem to fill the mold with LEGO ingredients, cool the bars, and remove them from the mold. The last two steps rock: [Michael] built a dispenser that drops a tiny cardboard box onto the line, sized to hold 3 LEGO bars. The box rolls to the end of the line and is picked up by a pneumatic gripper that picks up the box and places it on a pallet. While more whimsical than the LEGO liquid handler we featured recently, there are a lot of interesting robotic techniques to be learned here. On the reverse angle video you can see more of what’s going on with the wiring of the various motors and sensors. There are six EV3 bricks scattered along the length of the assembly line. The bricks control 15 small motors, 2 large motors, 7 touch sensors, and 3 light sensors. [Michael] added some nice touches, like the combo of two color sensors, seen around 1:45 of the reverse angle video, possibly used to keep the factory operations synced. Check out [Michael’s] Mindstorms sendup of [Anouk Wipprecht’s] drink bot dress. 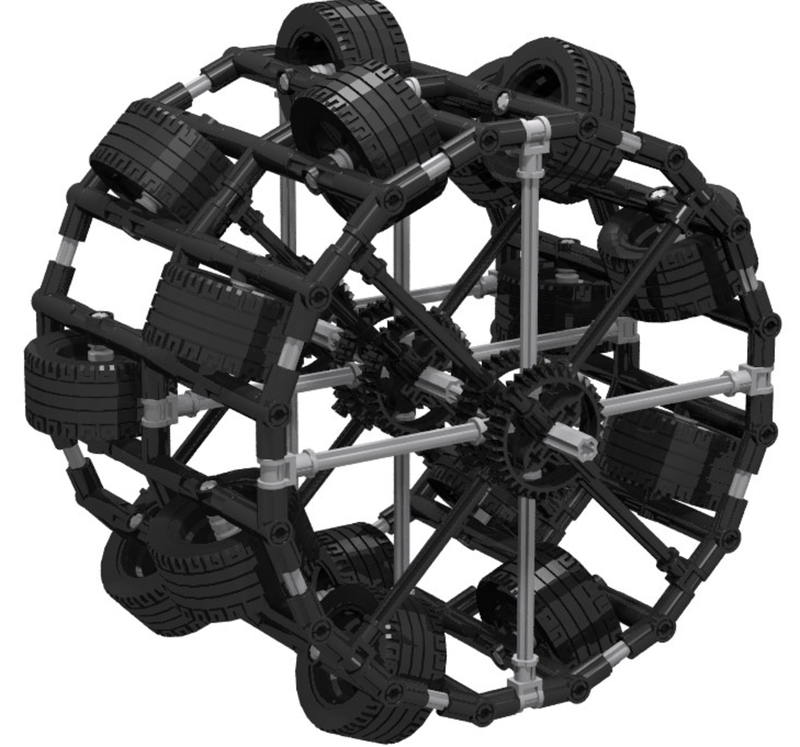 The LEGO version was built for Robotexotica. In addition, he has a lot of projects featured on his site.